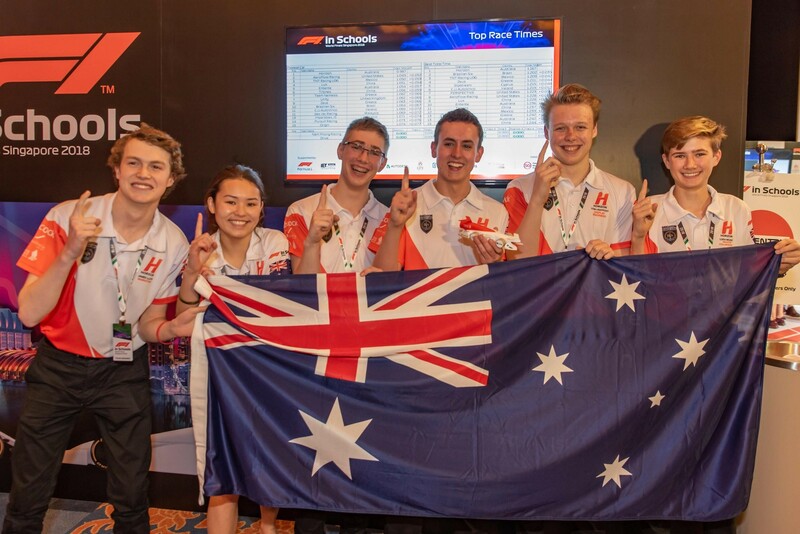 We are Horizon, Australia's lead F1 in Schools team from Brighton Secondary School in South Australia. 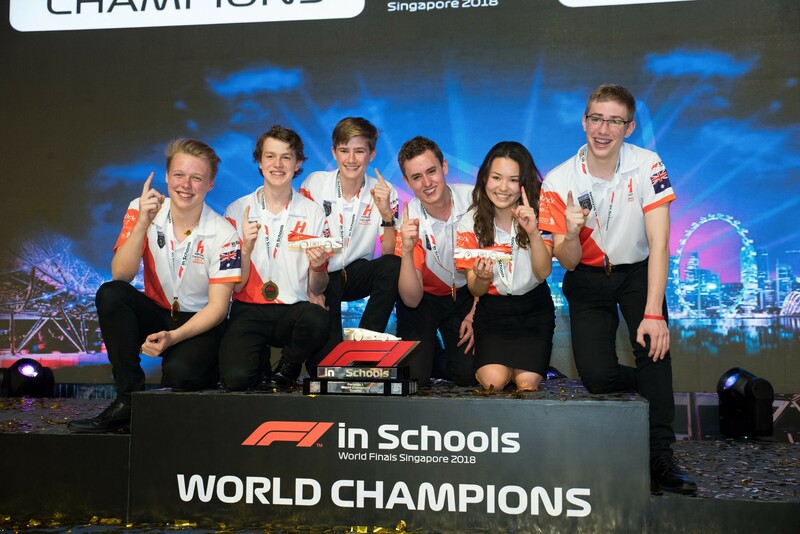 After years of hard work and dedication, as well as the generous support of our sponsors such as LEAP Australia, we are very proud to have been crowned the 2018 F1 In Schools World Champions. 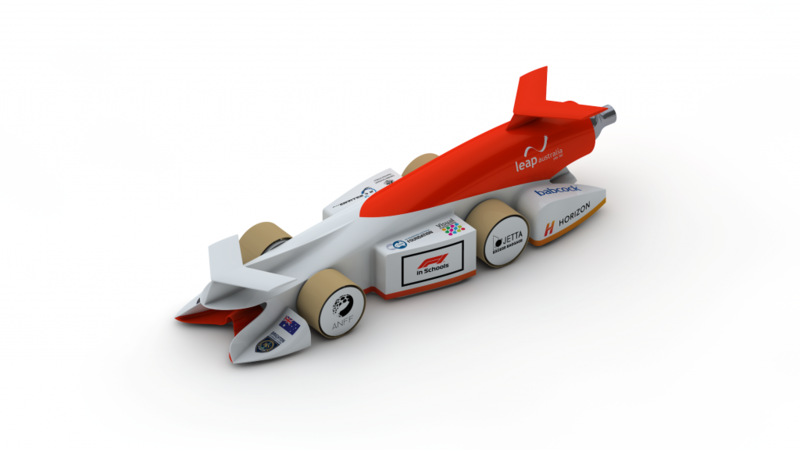 Here is a recollection of our team’s journey using ANSYS CFD to refine our car design for the World Finals in Singapore in September 2018. 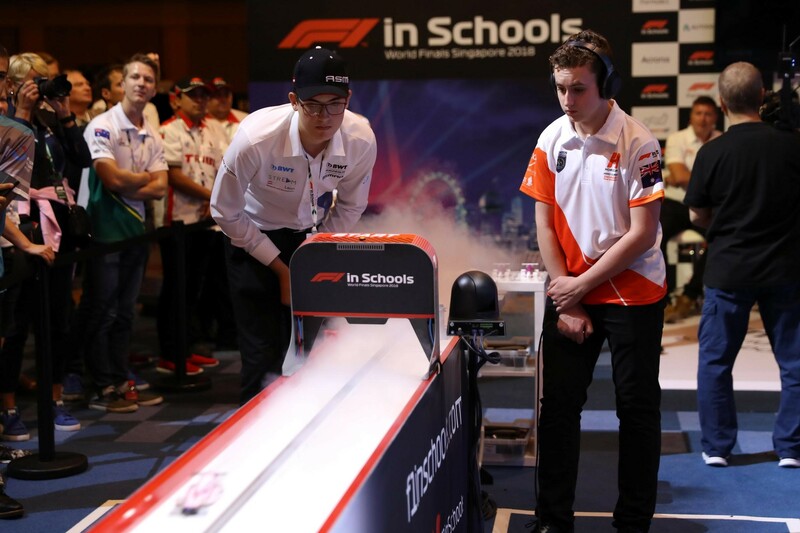 Each year the F1 In Schools World Finals is the world's largest STEM competition and is the culmination of years of work from the top 50 teams from over 30 countries around the world, representing over 20 million students globally. In F1 In Schools, teams of 3-6 students create and manage a miniature F1 team, in which they are tasked to engineer a miniature F1 car that complies with a complex set of regulations that are raced down a 20 meter track in just 1 second. As well as this, teams create a team identity, brand and market their team to companies around the world to raise the money to compete in sponsorship. Teams have large 3 meter by 2 meter trade displays, portfolios, social media campaigns, industry interviews, verbal presentations and more designed to mimic the dynamic of a Formula One team. The competition is marked out of 1000 points, of which the engineering and racing of the car attributes to 600 of the overall points. Teams compete at a regional, state and national level prior to being able to represent their country at the World Finals. 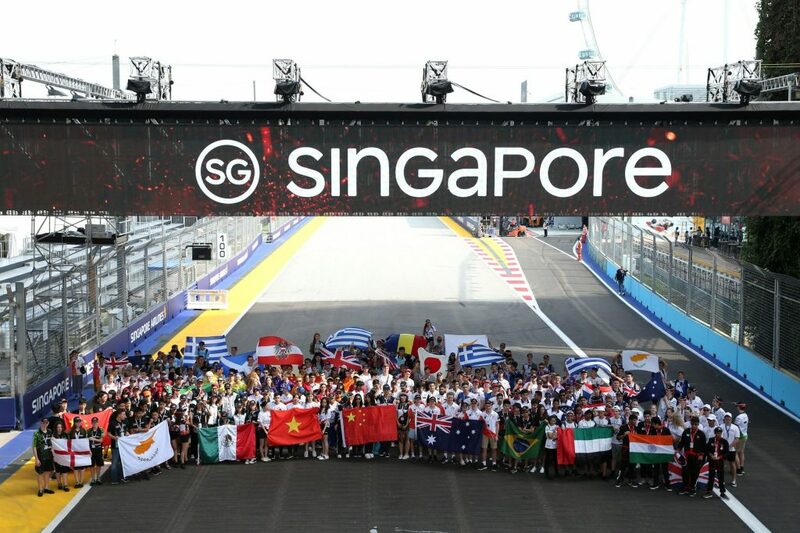 Each year, the world finals takes place in conjunction with a Formula One Grand Prix, this year being the Singapore Grand Prix. The winners of the World Finals are awarded with engineering scholarships to University College London. Since the engineering of the car is worth 350 points, it was very important to us that we had a thorough engineering process and spent as much time and effort into developing the best product possible. When we started the design process of the car, we wanted to make sure we were focusing on developing the most important areas. We created a mathematical model of the car travelling down the track which accounted for the forces being applied to the car. Through this we were able to determine that properties like the cars lift and drag had a more significant effect on the track time than other components like the wheel and axle system. 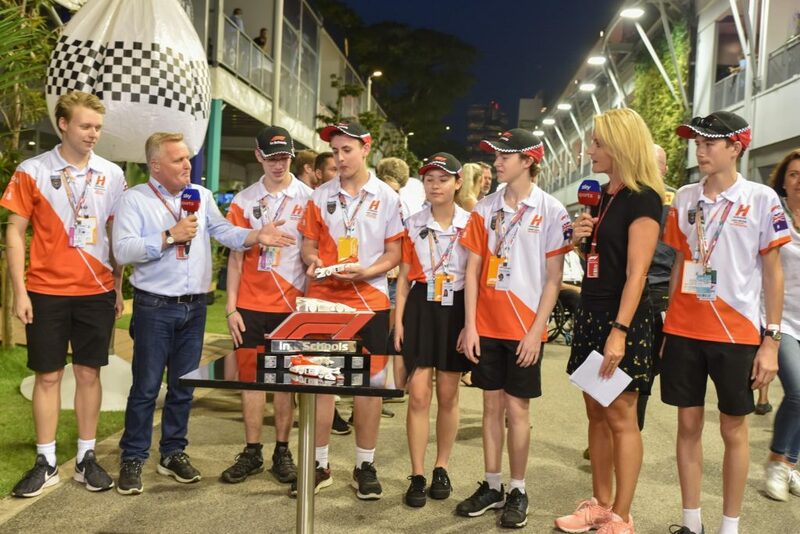 On reflection, it was instantly visible that many of the teams at the competition were focusing and highlighting developments of their car in design areas like their wheel weight which we saw next to no theoretical improvement. 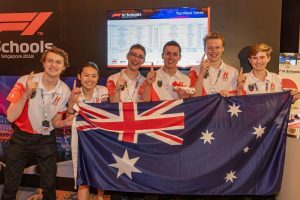 At the World Finals, Horizons came out on top as 2018 World Champions, and won the best Engineered Car and Fastest Car. Horizon set the record for the fastest car at the competition and was the first ever car to go under a second with a time of 0.997s without a LERS. While engineering our car, we used ANSYS Discovery AIM in order to test and visualise the air flow around our car allowing us to optimise its geometry. Due to the workflow of ANSYS AIM we found this quite easy to use, we imported our CAD Geometry as a .stp so the imported geometry defined the air inside the tunnel rather than the solids in and around the air. We were then able to choose the flow type of the air, we used steady state as the geometry changes we were making did not need a more refined model and it allowed for quicker computation times. We were then able to select the inlet, outlet and walls and also choose what qualities to monitor, we monitored the drag and lift force as well as the total force magnitude acting on the surface of the car. The tests took about an hour to two hours to solve at which point we were able to visualise many different attributes the air had when flowing around our cars geometry through the use of planes, traces and iso surfaces. A particularly useful one was the turbulence kinetic energy of the air shown through an iso surface (see figure below) which helped us refine our side pod and front air deflectors. Using this post-processing, we were able to identify the location of some particularly powerful vortices which allowed us to subsequently make deliberate design changes to redirect the air around the wheels more efficiently. We found the transition to Discovery AIM from our old CFD program to be a very easy process especially with expert support & guidance from LEAP Australia. 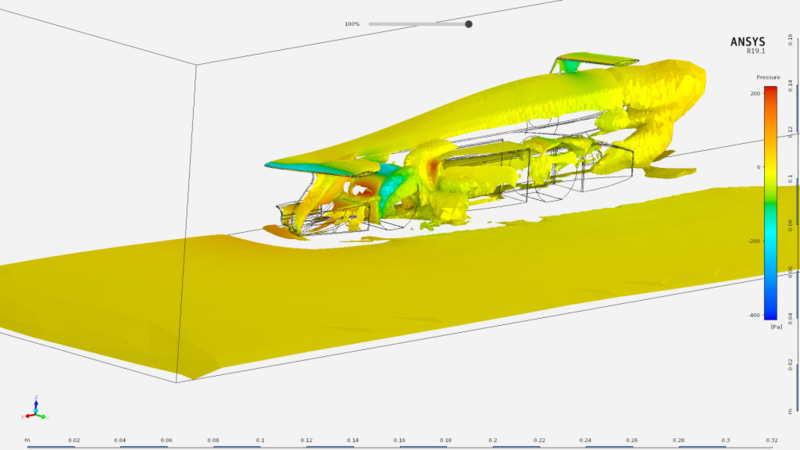 Through this process we were able to see just how inaccurate our old testing method was as results would vary each time we tested the car in the old software while in ANSYS we found the results to be much more precise. In changing programs we did, however, find that some of the conclusions we made using the old software were not accurate which forced us to go back and double check all the elements on the car to ensure they were indeed the best possible form – in hindsight it would have been better if we’d used ANSYS from start to finish! 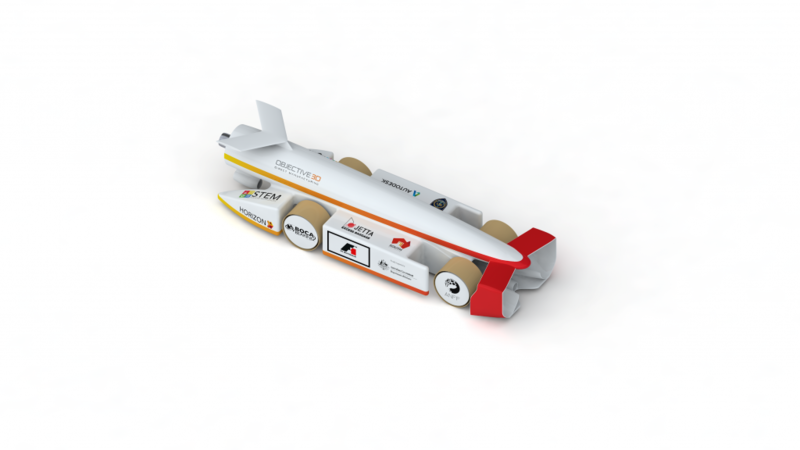 A main feature present on our world finals car is the innovative nose cone shape, having access to a program like Discovery AIM was critical in designing this element. Through testing we found that raising the front wing above the canister housing, while in itself is worse, allowed us to make up for its losses and then some through refinement of the front air deflectors - which you can see when comparing our nationals nose cone to our redeveloped world finals nose cone. Having returned from Singapore as World Champions, we are now working towards our future careers. Having been crowned World Champions, we have won scholarships to University College London, which opens huge opportunities for us in the future. Our engineers are working towards engineering careers in Formula One and in mechanical and aerospace industries.